Onueke is the headquarters of Ebonyi South Local Government Area and the ancestral headquarters of the Ezza, one of the most populous clans in Ebonyi State. Ezza people live in virtually all three senatorial zones of Ebonyi State and beyond, but are concentrated in Ezza North, Ezza South, Onicha, Ishielu and Ohaukwu Local Government Areas. The traditional Ezzas in these areas still return to Onueke to offer sacrifices to the graves of their progenitors: Ezekuna and his wife, Anyigo Ezekuna. Coincidentally, Sacred Heart Parish, Onueke, also serves as the headquarters of Christianity for Ezaa Catholics. Onueke used to be the headquarters of the old Ezzikwo Division. It was also the headquarters of the old Ezza Local Government Area. Presently, it doubles as the headquarters of Ezza South Local Government Area and Ebonyi Central Senatorial Zone comprising Ezza South, Ezza North, Ishielu and Ikwo Local Government Areas. Onueke derives its name from the famous “Eke Imoha,” one of the oldest and biggest markets in Ebonyi State. 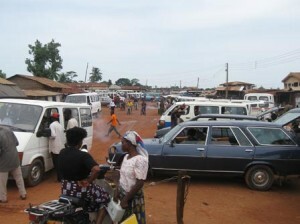 Eke Imoha market is central to the economic life of Ezza people. This is where the people sell their rich agricultural produce. Mainly farmers, the Ezzas take advantage of the rich and abundant farm land to cultivate yams, cassava, rice, cocoyams, and many other crops. These food crops, along with other goods, are bought and sold on “Eke market day,” which occurs every four days. 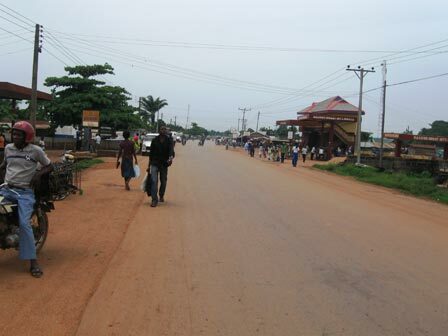 The other markets in the Ezza area include Aho, Nkwo and Orie. Eke is considered the first and biggest of these markets days.